On the bottom you can find one screw and that’s the only one you need to unscrew to get it open. It’s not hidden behind a sticker or something else, so it’s really accessible. After you unscrew it you can open the case by pulling it back and softly turn it up. (see the screenshot). 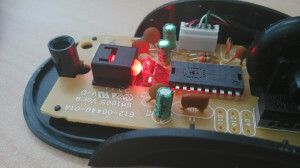 Once opened you will see a small black plastic case with a LED inside pointing upwards. Just push it down and that’s it! You can also glue the sides if you want to be really sure that it doesn’t get broken again and it’s a little stupid they don do it in the factory. 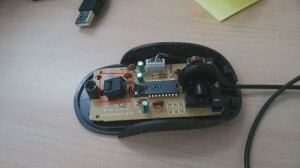 Just assemble the mouse again and you are finished. Thanks for this. I couldn’t buy another one as all stores are closed right now and needed to figure out how to open it in a non-destructive fashion. 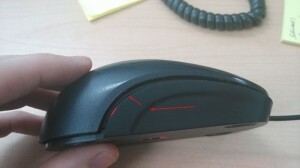 you are amazing…I fixed my mouse myself saved me from spending unnecessary money…yeah me!